Kirsten was the principal cinematographer on such films as Fahrenheit 9/11 and Citizenfour; she directed the prize-winning Cameraperson. In this workshop, she will provide hands-on examples of shooting scenes, discuss clips from her films and lead a tailored discussion of participants’ projects. Kirsten will also discuss the physical, artistic and ethical challenges facing women in documentary filmmaking. The workshop will also touch on issues of representation in the fast-growing filmmaking community as well as the opportunities and trends created by such changes. The BDC will provide lunch by Xochimilco, the Bronx’s finest Mexican restaurant. 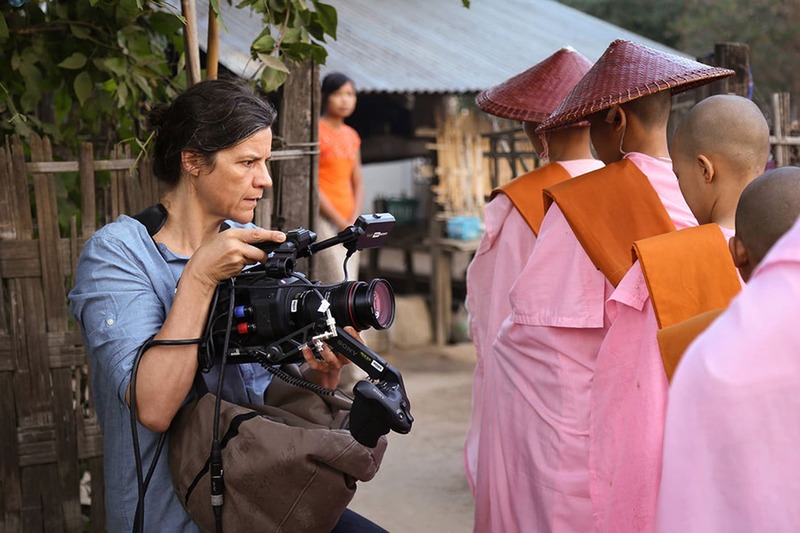 Kirsten Johnson is a filmmaker and cinematographer interested in addressing the changing dimensions and urgent ethical challenges of documentary camerawork. Her most recent film Cameraperson, which premiered at Sundance Film Festival in 2016, was short-listed for an Academy Award, won the National Board of Review “Freedom of Expression” prize, and was awarded three 2017 Cinema Eye Honors, including Outstanding Nonfiction Feature. Her short film, The Above which premiered at the 2015 New York Film Festival was nominated for the IDA Best Short of 2016. Kirsten’s camerawork appears in the Cannes premiere, "Risk", in the Academy Award-winning Citizenfour, Academy Award-nominated The Invisible War, Tribeca Documentary winner, Pray The Devil Back To Hell, Cannes winner Fahrenheit 9/11, and Emmy Award-winning Ladies First. Space is limited and advance registration is required. Women filmmakers are strongly encouraged to participate. 10% off for BDC members at the photographer/filmmaker level or if you have previously participated in a BDC workshop. Please email info@bronxdoc.org if you have any questions. *CANCELLATION POLICY: No refunds if canceling within 7 days of the workshop. Cancellations before the 7 day period will receive a refund of the registration price not including service fees.